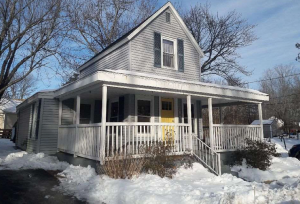 We Buy Houses in Manchester, NH! Call (855) 741-4848 Today For Your CASH Offer! Do you have a strategy to sell your house quickly? You must have a plan. Simply listing a property online or even hiring a real estate agent will not help you to sell your house fast. Owners of residential properties in Manchester have to wait more than three months on an average to sell their houses. Most property owners have to wait for half a year. A few properties go unsold even after a full year of being listed for sale. Realtors can use their networks to spread the word but it is the property that has to impress a buyer and the latter should be convinced enough to make the investment. You cannot sell a house quickly if you have no plan. The plan cannot be the traditional way of dealing in real estate, which is mired in challenges and makes the whole process increasingly difficult and costly for sellers. Listing a property online, putting up a sign for sale on the yard or by the driveway, hiring a realtor and trying to spread the word through social circles are passé. 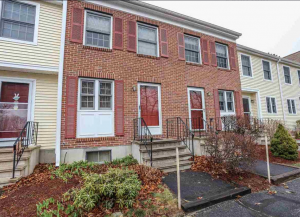 It is time for owners of residential properties to explore the twenty-first century way to sell houses in Manchester, New Hampshire. Dependable Homebuyers has a unique proposition for all sellers in the city. Sell your residential properties directly to us. Do not sign up for the tedious wait by taking the conventional route. Do not consider spending thousands of dollars to get your property sold. Do not agree to invest a lot of effort, from staging to open houses, multiple showings to appraisals. We have simplified real estate deals so sellers can have certainty and get a fair offer. 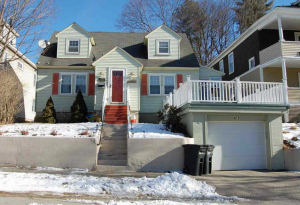 We buy houses in Manchester, New Hampshire, directly from the owners and next of kin in cases of inherited properties or when sellers have the power of attorney. We do not represent any third party investor or buyer. We are not a realtor or property management company. Dependable Homebuyers is a nationwide investment company with specific expertise in residential real estate. 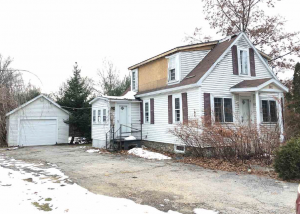 We have been acquiring residential properties all over the state of New Hampshire. We are interested in buying houses everywhere in the city of Manchester. How long are you willing to wait to have an interested buyer come across, view your property and make an offer? It usually takes a few months. Most realtors will take a week or longer to prepare a house for listing. While online listing seems to be simple and fast, a lot of preparation is necessary if the property has to impress potential buyers. Uploading the essential details about a house is not sufficient any more. Having one or two accompanying images is also not enough. Buyers have become demanding and partly because realtors and sellers have been forthcoming in recent years. Those willing to walk the extra mile to promote their properties have now made it imperative for others to adhere to the norm. Your house should be staged before it can be listed. If not staged, it should be cleaned and de-cluttered for captivating photos. You will also need a video so potential buyers can embark on a virtual tour. It is obviously possible to simply list the property online in a few seconds without any visual material but then buyers will gravitate towards other houses that have enticing pictures and videos. Even expert realtors will take several days to put together all the materials that can be used for the online listing. Multiple listing services available to realtors do not necessarily generate any interest immediately. Buyers who have been looking for properties have other options to consider on the same websites. Your property will be pitted against many. It is possible you will not have any query for several months. You can avoid the uncertain wait by choosing Dependable Homebuyers. You need to give us only twenty four hours after we inspect your property to come up with a purchase offer. This is a real cash offer and you will have it in writing. We do not conduct a property inspection for the sake of evaluation and an estimate. There is no appraisal that is anyway futile from the perspective of the seller. After you call us or write to us, we will have one of our property experts visit your house, view it and inspect it thoroughly so we can determine its fair price. We have a research team that verifies all information. We draft the proposition with the fair price and you will have this offer in twenty four hours from the viewing. In an unlikely scenario, you will have the offer within forty eight hours. 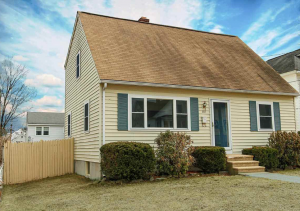 While we are capable of presenting a purchase offer in twenty four hours, we buy houses in Manchester, New Hampshire, in seven business days. A week is all we need to complete all the formalities. You can effectively sell your house within ten days up to a fortnight from the first time you contact us. This is an unprecedented opportunity for owners of residential properties. There is no other way you can get a purchase offer in a day or sell a house in a week. Dependable Homebuyers is an independent investment company. We have our own capital that finances all our purchases. None of our acquisitions depend on mortgages from banks or investments from third parties. Since we do not have to convince any bank that a house is worthwhile or another investor that there is a secured return, we do not depend on realtor or look for buyer in the open market, we are able to close the deal and complete the sale within just seven business days. All it takes is for you to decide whether or not you will accept our offer and sell the house to us. You must note that the whole process is steered by us and every formal process is executed by our experts. You do not have to put in any effort. You do not have to pay for anything. There is no service fee or commission. There is no legal fee either as we have our own team. You do not pay for any viewing or property inspection. The purchase offer is free and nonobligatory. You are not compelled to accept our offer within any specific period of time. Simply because we have an expedited process and can give you a purchase offer in a day or buy the house in a week after you accept does not imply you must consider our proposition immediately. We can expedite the sale for those who want to sell quickly. We can time the sale as per the convenience and other plans a seller may have. 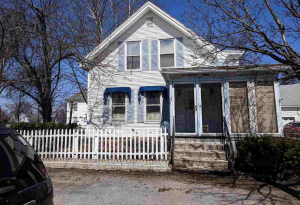 Call Today For Your CASH Offer (855) 741-4848 We Buy All Types Of Houses In Manchester, NH! 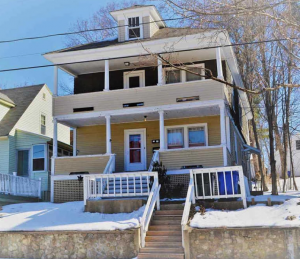 You invest nothing when we buy houses in Manchester, New Hampshire. This means the entire sum of money you get paid for the sale is your return. The net profit will obviously be a smaller sum when you factor out the original investment, unless it is a property you have inherited. This net profit can be seriously dented when you have to deal with all the conventional expenses. Selling a house via a realtor and to a normal buyer will cost you over ten thousand dollars. It is possible you will have to spend around twenty thousand dollars to sell the house. Deduct this amount from the asking price or the actual selling price and you may have a net loss. Not only will you secure a profit when we buy houses in Manchester but you will also maximize it. Let us illustrate how. Whenever you hire a realtor, you are pledging to pay a commission. Whenever you sell a house, you have to pay the closing cost. There are marketing and advertising expenses. Every professional you need will charge you money. The property inspector who will conduct the initial evaluation and determine a fair ask price, the staging expert who will try to make your house more presentable, the appraisal guy who will prepare the report so a buyer can provide the assessment to their bank for mortgage approval and the lawyer who will scrutinize the legal documents, including the agreement of sale. It is also possible you will have to repair a few things, replace a few others and the usual necessity of painting the house, fixing damages and upgrading essential fixtures or enhancing the curb appeal. The commission to be paid to a realtor is six percent of the sale price. It can be up to ten thousand dollars depending on the selling price. The closing cost is two percent of the selling price and can easily be over three thousand dollars. Property inspection, cleaning, de-cluttering, staging, marketing and advertising, legal fees, appraisal and other miscellaneous expenses can cumulatively cost you a few thousand dollars. Repairs can be costly, anywhere from a few hundred to over a thousand depending on the needs and scope. Renovation or improvement can cost thousands. Painting an entire house, replacing a roof, fixing the foundation, upgrading the plumbing, installing contemporary fixtures, getting new windows and doors, improving the landscape and major other changes such as new flooring can cost a fortune. Some properties have to be upgraded extensively to be salable. The more you spend, the less you profit. It is true that some expenses can increase the asking price but it is not always proportionate. Certain improvements do make a property more salable but even then there is the uncertainty of how buyers will respond. Sellers and realtors can influence buyers but not decide on their behalf. Buyers will have their own compulsions and they will act accordingly. Would you rather spend thousands of dollars while still being uncertain of the sale? You can save all this money, the entire ten to twenty thousand dollars, as the actual expenditure may be in your case, when we buy houses in Manchester, New Hampshire. Very old properties, unaesthetic houses and dilapidated homes are difficult to sell. Hoarder houses cannot be sold through the usual means. Properties with flooded basement, damaged roof, settling in foundation, fragile floors, broken windows and doors, worn off siding and weathered appearance are extremely hard to sell. Owners of such properties have to invest in repairs and extensive renovation for the houses to be salable. Realtors rarely represent properties that have extensive damage. 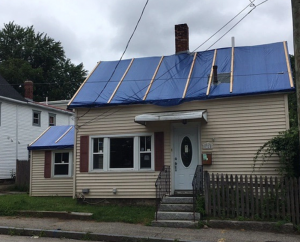 You need not consider repairs or renovations when we buy houses in Manchester, New Hampshire. Dependable Homebuyers is interested in all types of properties. The size, layout, architecture or the overall condition does not matter. All attributes of a property, good or bad, will influence the fair price but not our decision whether or not we will buy the house. We buy houses in Manchester regardless of the type, location or condition. Your property does not have to be in the most sought after neighborhood for us to be interested. Normal buyers have location as one of their topmost priorities. We do not. Normal buyers are only interested in properties that are in an impeccable condition. We do not have such a requirement. All families will have certain requirements and preferences, from the number of rooms to floors, the exact layout to the kind of construction a house has. We do not have such preferences or requirements. 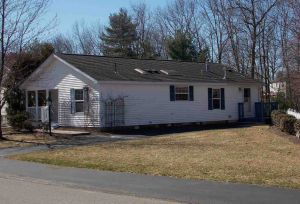 You can sell any type of house in any condition at any neighborhood in the city of Manchester. Give us a call or fill out the online form and submit for one of our representatives to get in touch with you. 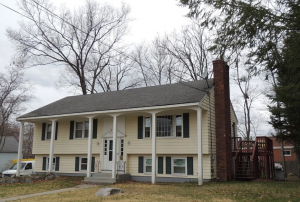 Schedule an appointment for the viewing and you will get a cash offer within twenty four hours. Sell your house in seven days if you want a quick sale.